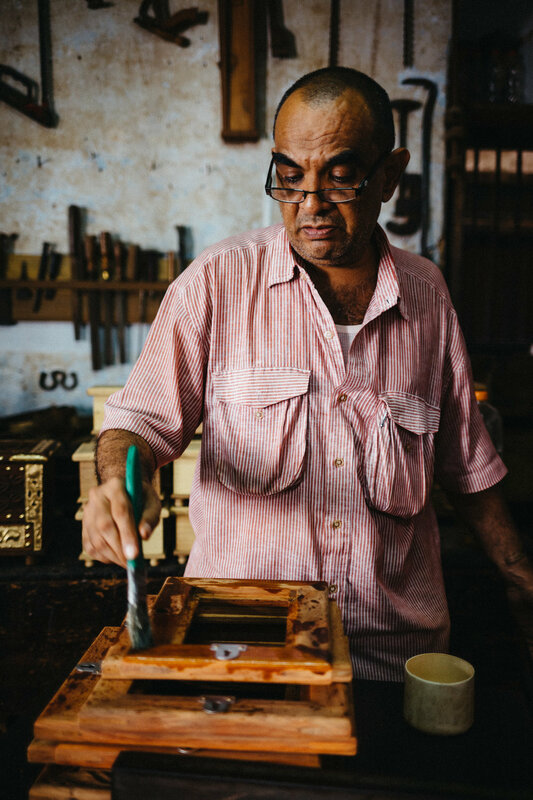 This furniture workshop in the heart of Stone Town that has been passed down three generations. Kantilal Popat Mulji - the elderly gentleman seen in most of these photos - is the second generation. His son in the white and red stripped shirt, the third. 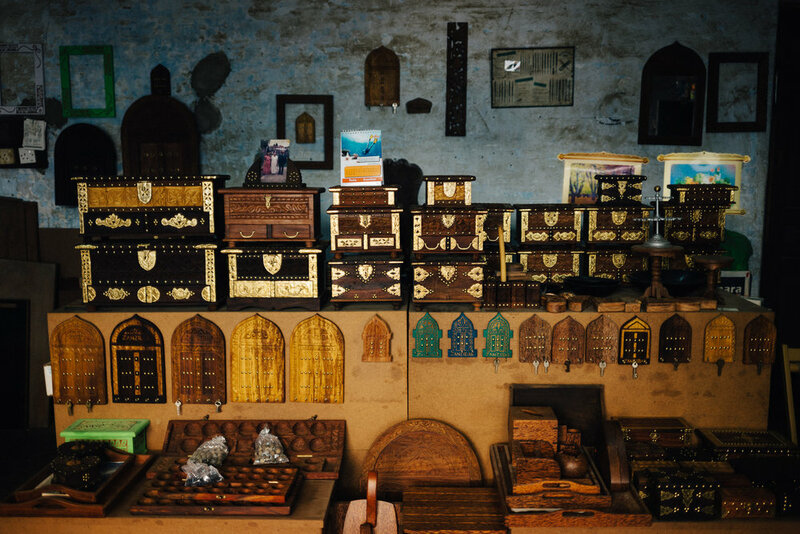 They make a variety of furniture including the great Zanzibar doors and chests, the latter seen here. The Mulji's are originally from Gujarat in India. Kantilal's father moved to Zanzibar in the 1920s, when it was still part of the Omani Sultante, to seek new business opportunities. This workshop has been creating some of the best furniture in Zanzibar ever since. Kantilal and his son were very hospitable and spent quite a bit of time talking to me about the history of Zanzibar. If you're planning to visit Zanzibar, it's definitely worth dropping by their workshop on Kenyatta Road not far from the seafront. Some of the products they make. Whilst these are mostly for tourists, they make larger items for locals and those that can afford to ship them.